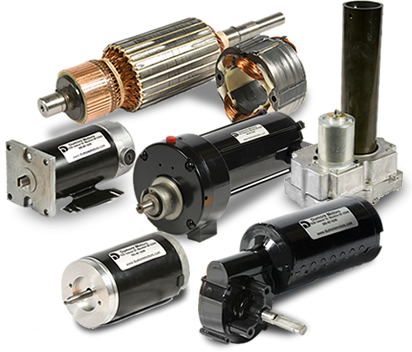 Dumore Motors designs and manufactures custom fractional horsepower DC motors, gear motors and custom electromechanical motor assemblies for OEMs worldwide. Dumore DC motors and gear motors are designed for complete, cost effective customization to meet your exact requirements, or work with our experienced engineering team on a “clean sheet” electric motor or gear motor design for a truly custom electric motor solution! In addition to powering their equipment and systems with Dumore Motors electric motors and gear motors, OEMs partner with Dumore Motors for manufacture of their custom value-added electromechanical motor and gear motor assemblies, sub-assemblies and complete turnkey products, providing cost savings, time savings and additional competitive advantage.